Chill: At least 1 hour; up to 8 hours. 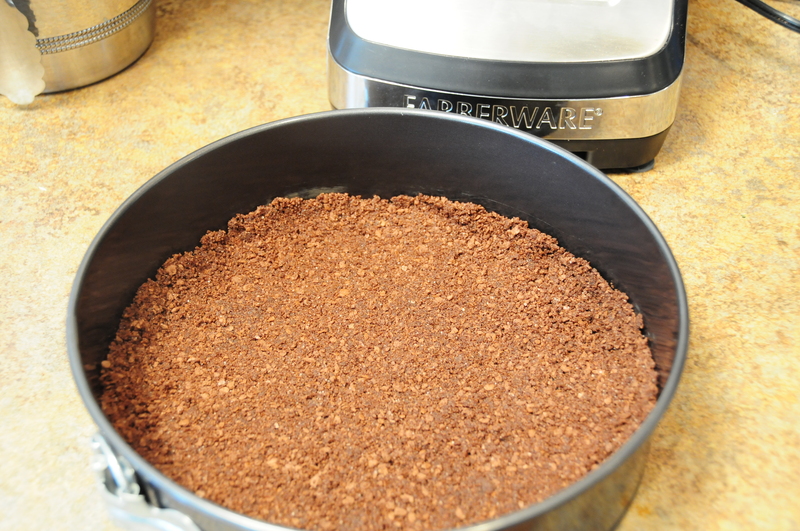 Stir together graham cracker crumbs, melted butter, and 1 Tbsp granulated sugar; press mixture into bottom of a 9-inch springform pan. Beat 3 (8-ounce) packages of cream cheese and 1 1/2 cups granulated sugar at medium-low speed with an electric mixer for one minute. Add eggs, cocoa, sour cream, whole buttermilk, vanilla extract, distilled white vinegar and red food coloring, mixing on low speed just until fully combined. 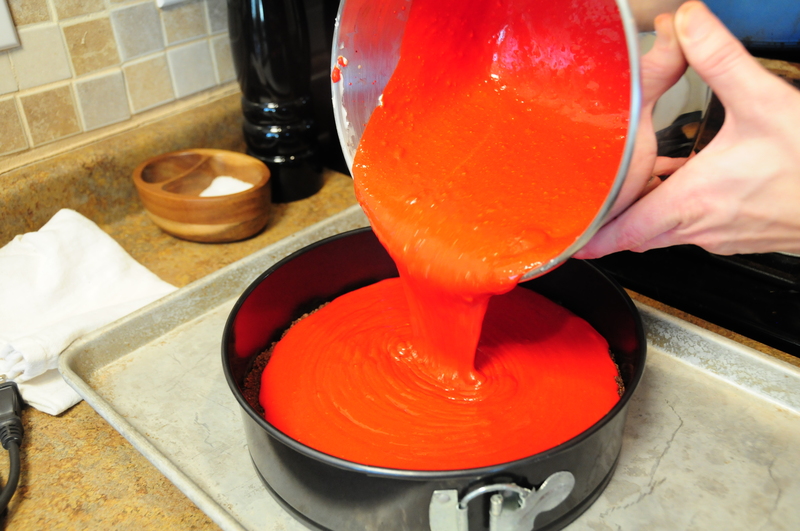 Pour batter into prepared crust. Bake at 325 degrees for 10 minutes; reduce heat to 300 degrees, and bake for 1 hour and 15 minutes or until center is firm. Run knife along outer edge of cheesecake. Turn oven off, and let cheesecake stand in oven for an additional 30 minutes. Remove the cheesecake from the oven; cool in the pan on a wire rack for 30 minutes. Cover and chill for up to 8 hours. 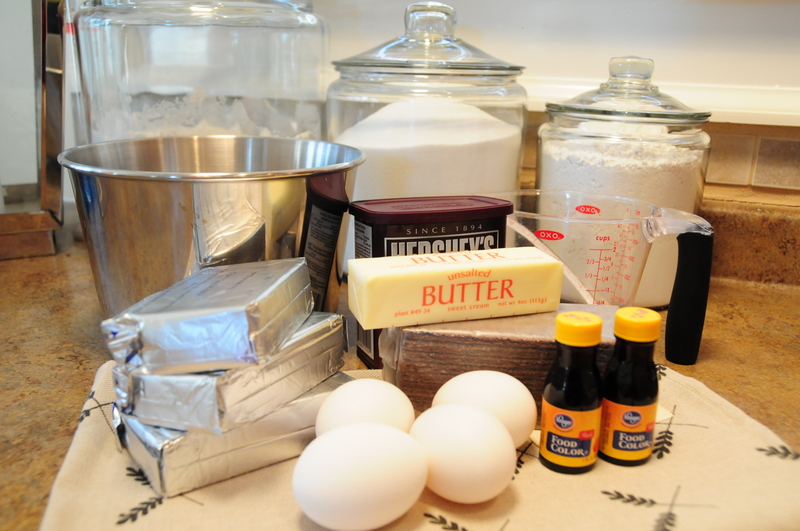 Beat 1 (3-ounce) package of cream cheese and 1/4 cup of butter at medium speed with an electric mixer until smooth. Gradually add powdered sugar and vanilla, beating until smooth. Spread evenly over the top of the cheesecake. Remove the sides of the springform pan and enjoy!